Having a strong content calendar, both for website and social media content, is essential for staying consistent and creating engagement around your brand. 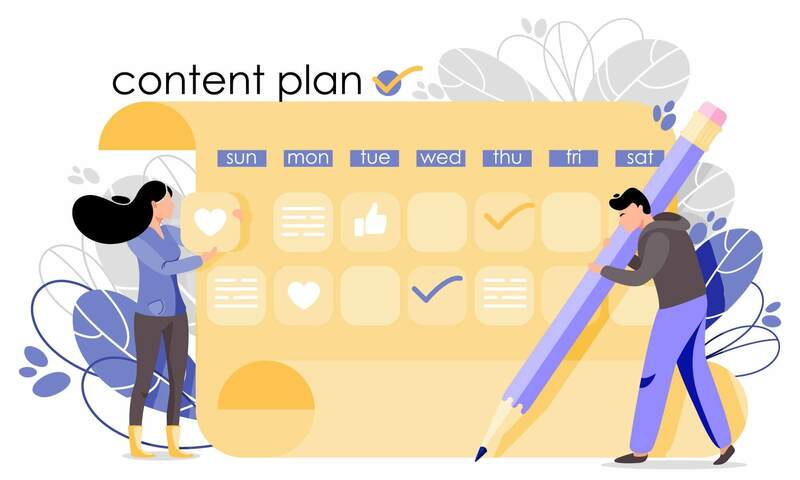 With 2019 right around the corner, it’s the perfect time to set 2019 goals and start putting your 2019 content calendar in place. Not sure where to start with your content calendar? Our team is here to help! Increased consistency. Increased rankings, engagement, and followers on both your website and social media platforms are all affected by how consistent you are posting new content. With the help of a website and social media content calendar, it’s easier to stick to a schedule and see what you have coming up for content as well as projects. Increased reach. With the help of Google Analytics and the various social media analytic tools that are available, figuring out when your followers are most active is a breeze. And with that information, you will also be able to schedule out future content to be published on your website and social media platforms when they’re most active, making it easier to increase your reach and engagement. The first step in creating a website and social media content calendar is deciding what platform (or tool) you want to use to create your calendar. We highly suggest using Google Sheets – it’s accessible from everywhere, it’s easy to share with your team, and can be printed out as a PDF. You can also say goodbye to the days of losing your work as the Google Sheet will update and save automatically. Once you’ve started creating the outline to your content calendar (using the sections we mentioned above!) use the analytical information from your website and social media platforms to figure out what types of content your followers engage with the most and think of new ways you can replicate that success. Also look to see what platforms your audience is most active on. Just because there are several social media platforms out there doesn’t mean you need to be on all of them. When you publish a new piece of content on your website, share it on social media!